Liquor Liability Insurance | Trust Hall Insurance Services, Inc.
Do you need Liquor Liability Insurance? Owning a business that serves alcohol, whether in an established location or a special event, always involves an element of risk. Liquor liability insurance protects you against loss or damages claimed as the result of a patron of your business becoming intoxicated and injuring themselves or others. If your business manufactures, sells, serves, or facilitates the use or purchase of alcohol, then you need liquor liability insurance coverage. “Dram Shop” Laws hold alcoholic beverage servers financially liable for harm that visibly intoxicated individuals cause to other people, themselves, or property. These laws are established at the state level. They can apply not only to bars, liquor stores and restaurants, but also to social clubs and private events where liquor is served. Dram shop laws also include selling liquor without a license, selling liquor after hours, and selling liquor to minors. Liquor Legal Liability provides coverage for bodily injury or property damage for which you may become legally liable for - as the result of contributing to a person's intoxication. This coverage is provided by a separate policy and will only cover establishments 'in the business of' manufacturing, selling, distributing, or serving alcoholic beverages for a charge. This exposure is not covered under a general liability policy. Host Liquor Liability Insurance Policies cover special events for businesses that elect to serve alcohol to their employees, prospects, and customers. This type of liability insurance is also needed by people and businesses serving or providing alcoholic beverages to customers, guests, or employees. Will you be held responsible? Court decisions, coupled with new state statutes, are holding vendors of alcoholic beverages increasingly responsible for damages under liquor liability laws. Nevertheless, liquor liability insurance continues to be a quiet, if not dwindling, market around the country. In fact, more than half the establishments in the United States choose to operate without liquor liability insurance coverage. We make the liquor liability insurance process as simple as possible. By filling out a simple online form, our expert agents will shop the market for you and get the best possible coverage and competitive premiums. We pride ourselves on taking care of our clients and their interests. When an intoxicated patron leaves your bar or store, gets into his car, drives, and commits vehicular manslaughter, the victim’s family could sue the bar for both civil and criminal damages. Or suppose a restaurant serves alcohol at a catered event, where two guests have a fight, and one incurs serious injuries at the hand of a drunk person. It’s vital that if your establishment serves alcohol, you protect yourself from potential financial losses by being covered with a liquor liability policy. In the above examples, liquor liability insurance could help cover the bar’s legal costs, court fees, and any civil or criminal damages awarded. What does liquor liability insurance cover? 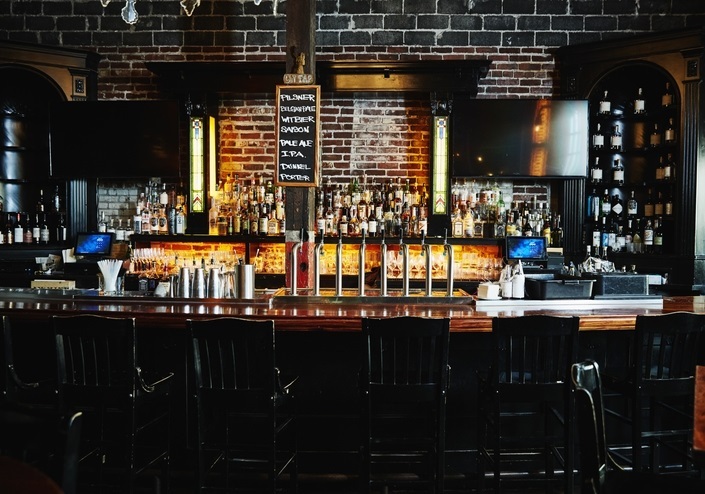 A good deal of alcohol-related liability claims filed against bars, taverns, and restaurants are a result of liquor-induced fights or altercations. In fact, just escorting an unruly patron to the exit is frequently enough to trigger an assault and battery allegation. Along with coverage for these events, litigation costs, including the fees to retain an attorney and court costs may also be covered under a liquor liability policy. Trust Hall Insurance Services, Inc.